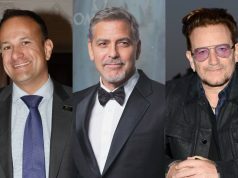 Ryan Tubridy has blasted celebrities who have been caught using the N-word and think they can just apologise for it. And Tubs admitted he is particularly annoyed by Justin Bieber and “odd” Jeremy Clarkson using the word in leaked videos. He said: “There’s nothing cool about the N-word. There’s nothing ironic, or funny or brilliant or a bit rock ‘n’ roll. Nothing. It’s absolutely just verboten. There’s nothing clever about it. “When Jeremy Clarkson – who is a odd man and not one I would be particularly fond of from afar, and he may be very nice in real life. And Tubs, speaking on his radio show on 2FM, said he feels that Bieber is “being such an idiot” and needs looking after. He said: “Justin Bieber is entitled to be having a lot of fun, he is entitled to be a popstar, he is entitled to make a few mistakes along the way and act the maggot. “The N-word? Sorry, Justin. Who’s looking after him? Why is he being such an idiot? That has got to be the end of it.